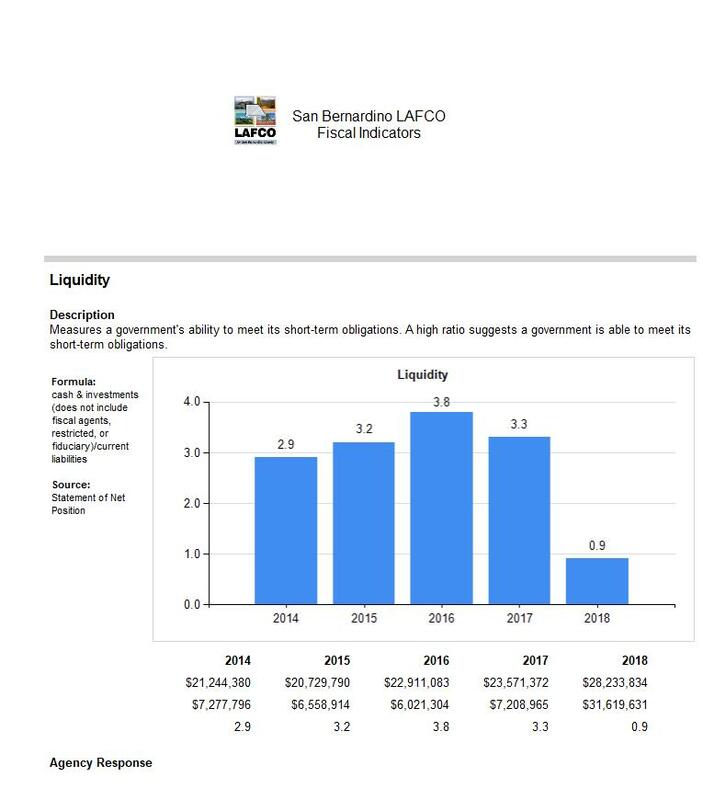 The City of Big Bear Lake operates with governmental funds and reports one major business-type activity: water utility. 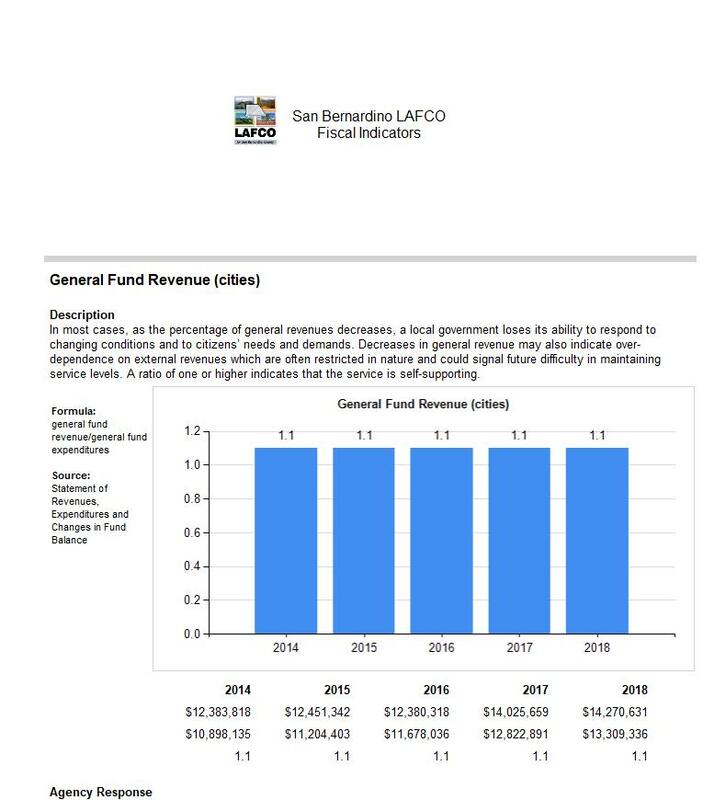 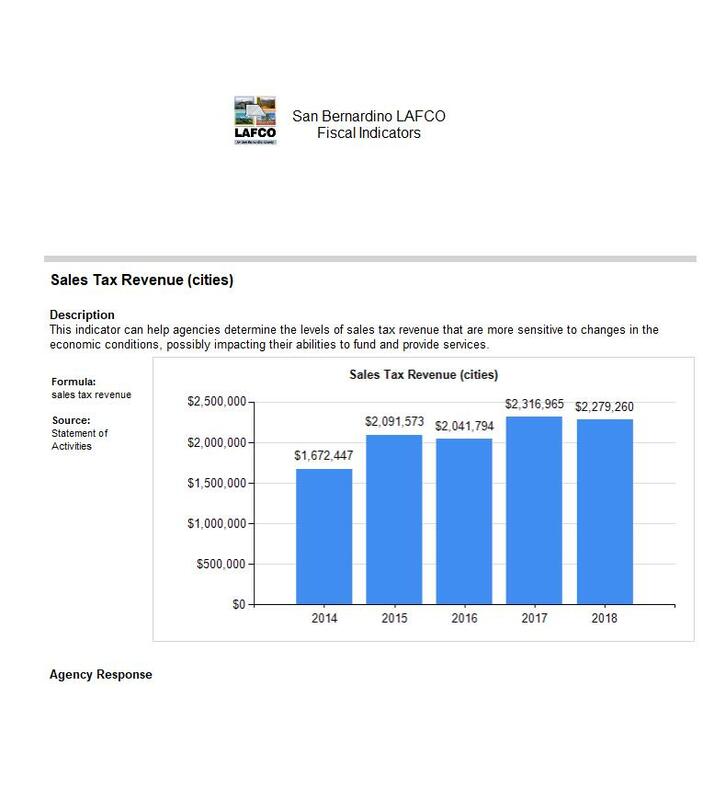 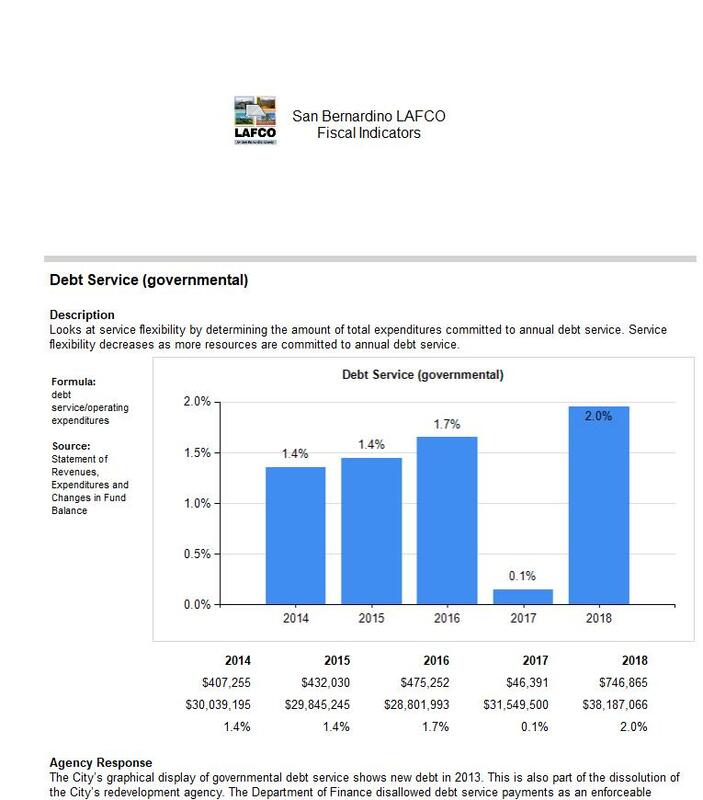 The City provides sewer collection and the Big Bear Area Regional Waste Water Authority provides waste water treatment which are user fees collected on the property tax bill. 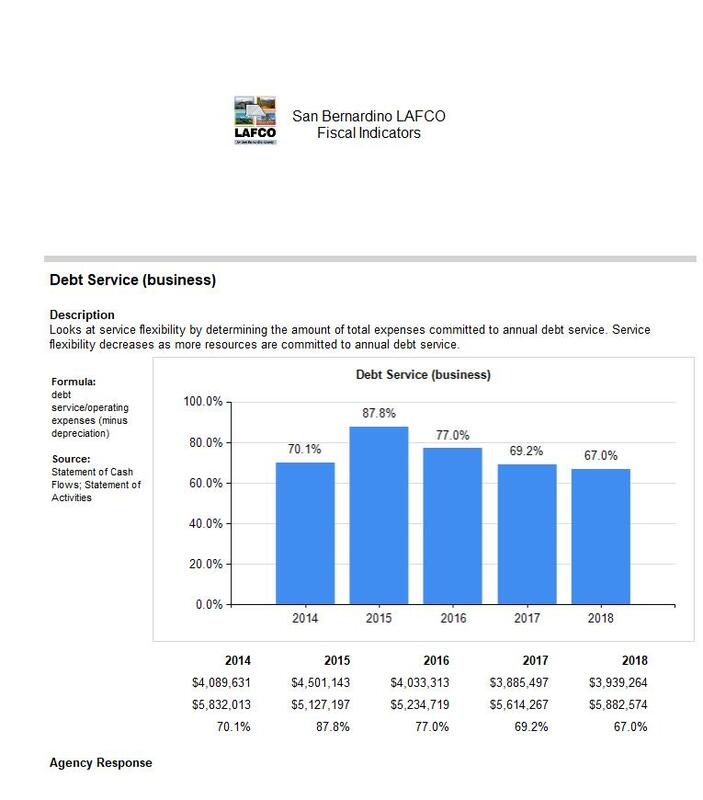 The City provides park and recreation services although the Big Bear Valley Recreation and Park District (“Park District”) overlays the City and has facilities within the City. 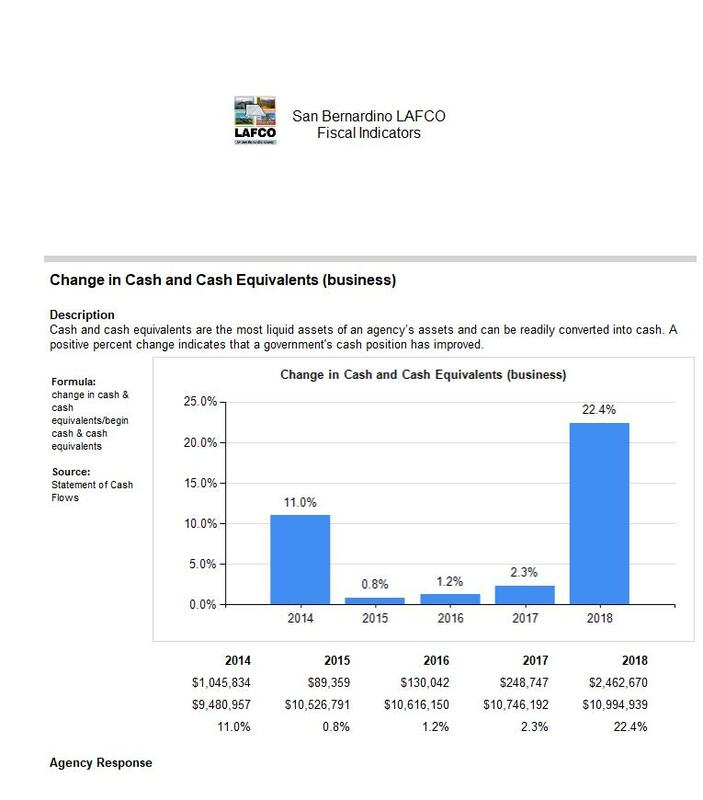 As a municipality, the City is responsible for law enforcement within its boundaries and has chosen to contract with the County for law enforcement services. 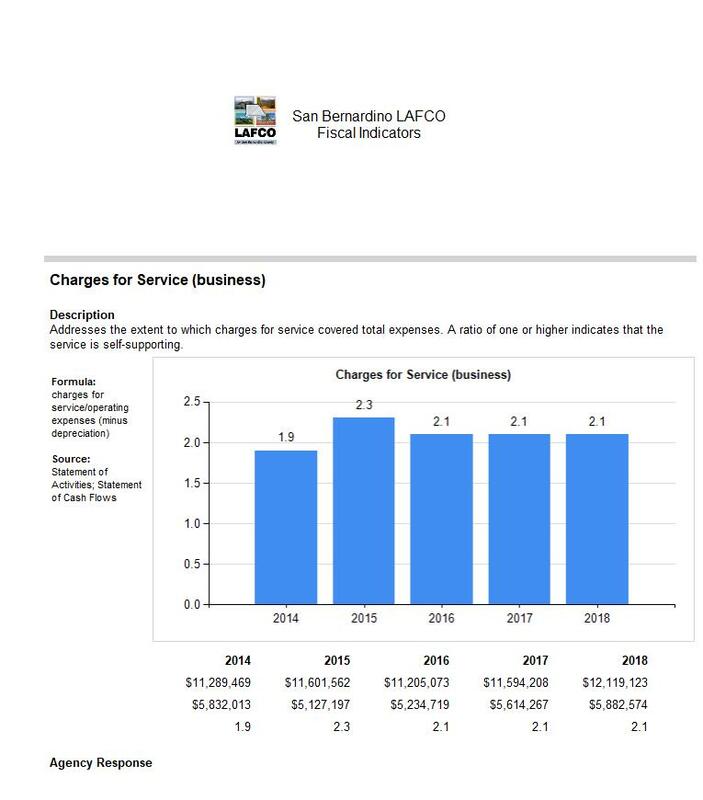 The City’s Department of Water and Power provides retail water service within and outside of the City boundaries (see link below). 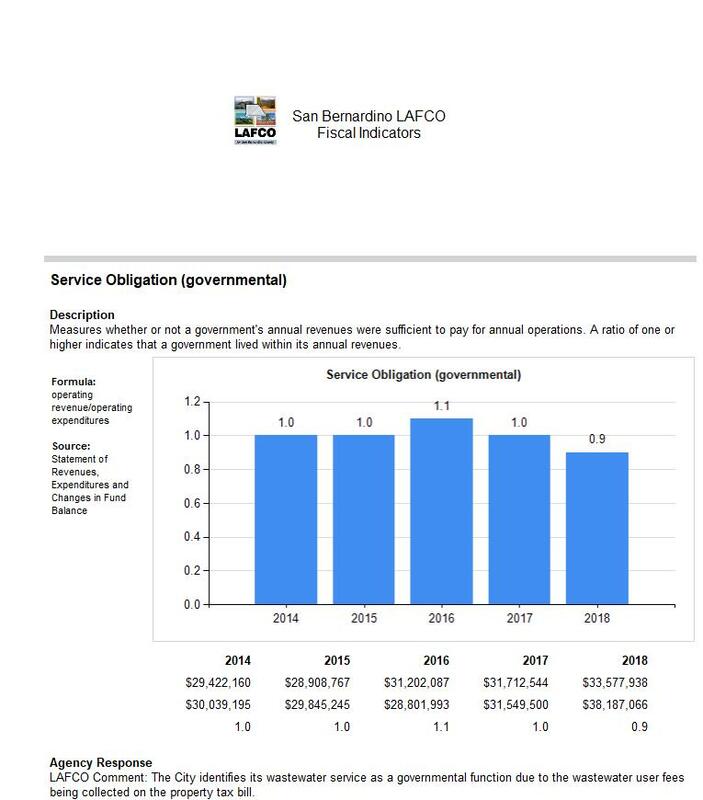 The Big Bear Lake Fire Protection District is a self-governed subsidiary district of the City, in which the city council is the ex-officio board of directors of the District (see link below). 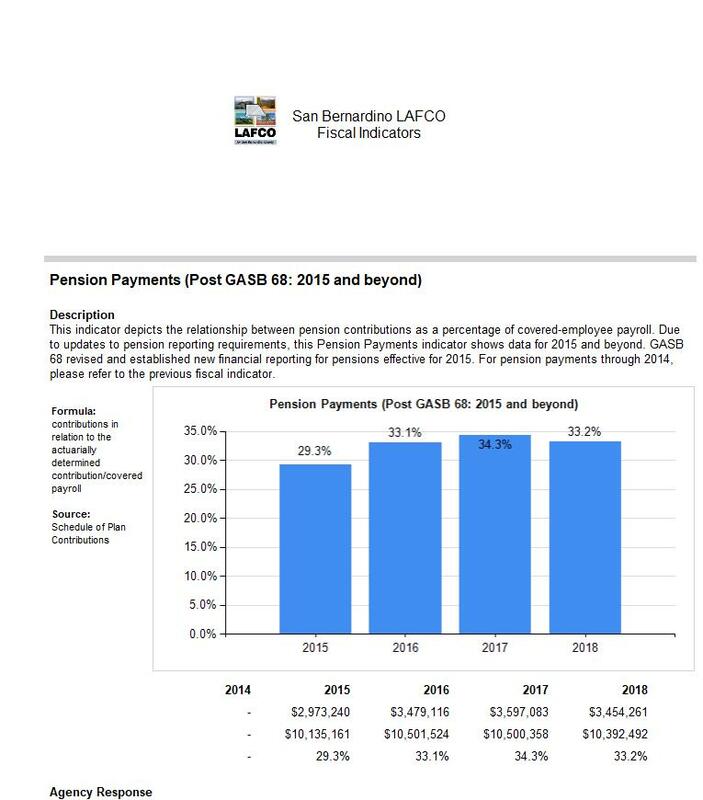 Other Post Employment Benefits (OPEB) obligations are not identified in the City's audits. 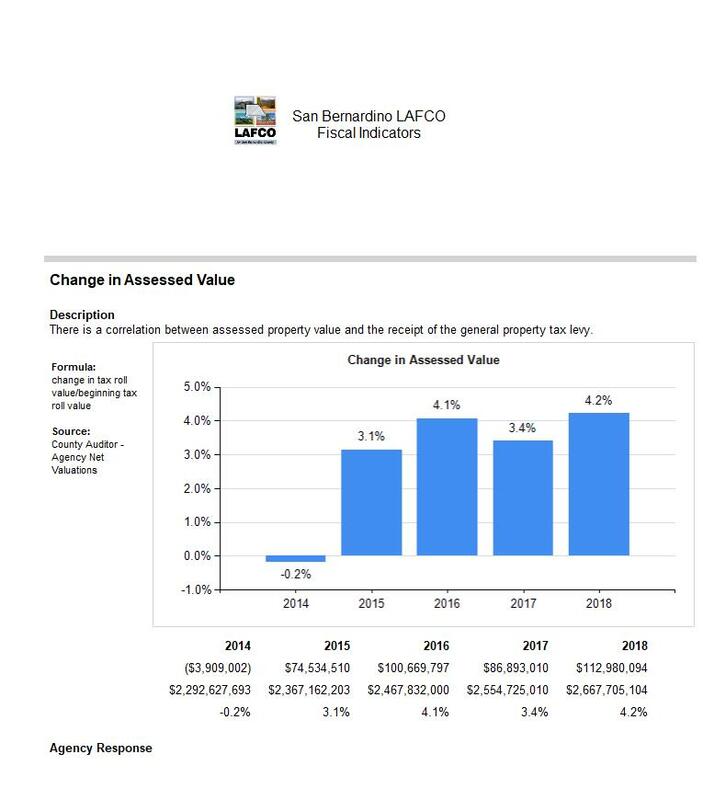 Redevelopment activities have been removed for all years to normalize for the dissolution of redevelopment agencies effective February 1, 2012. 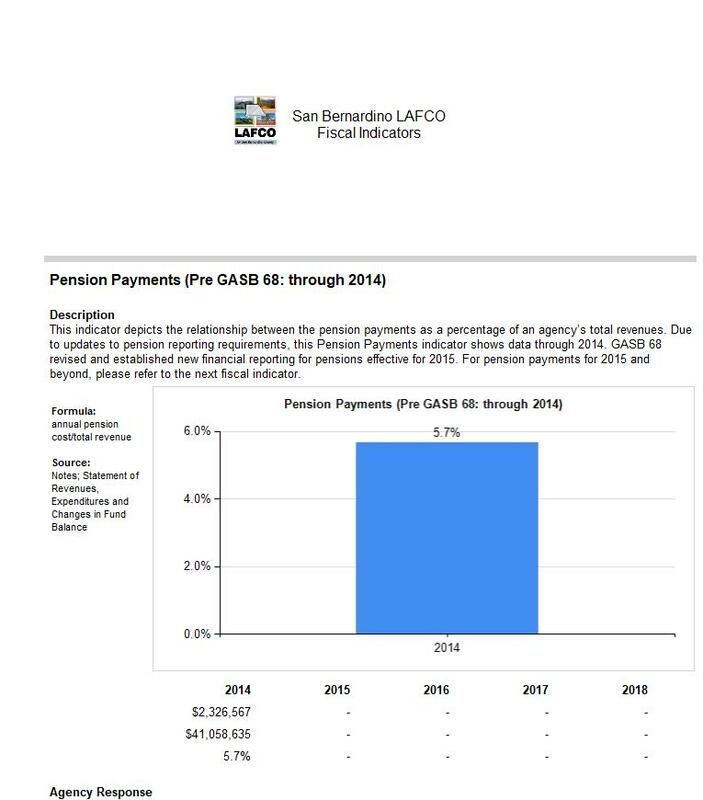 The agency retirement plan is administered by SBCERA. 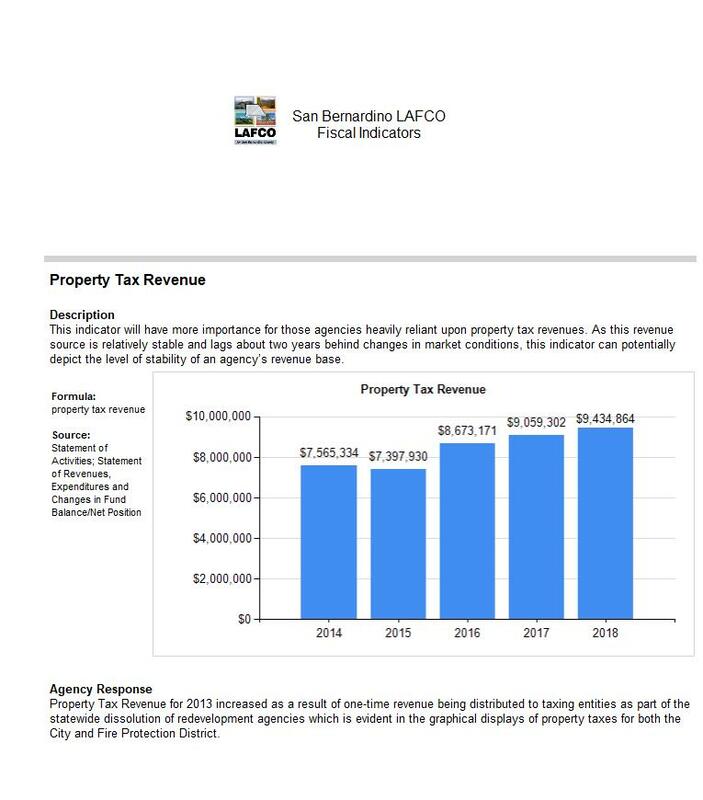 Additional information on the City can be accessed via the link below.